From the humble beginnings of an old wartime nissen hut in rural Derbyshire to an international fashion brand, the David Nieper story is one of family values, dedication, commitment to customers, a passion for beautifully made clothes and above all to the people that make them. 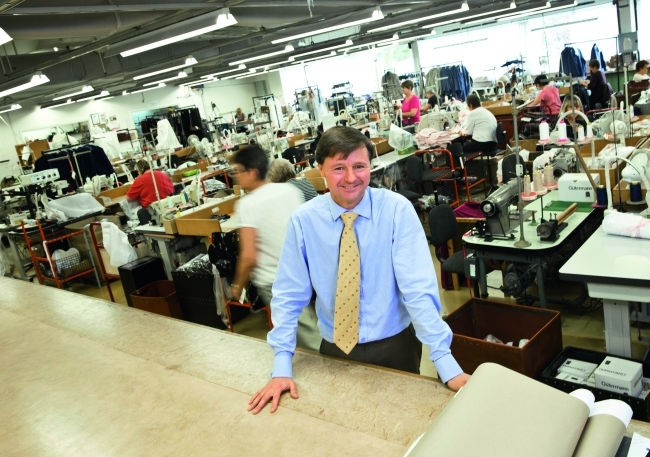 As a child, Christopher Nieper recalls his mother cutting out night dress patterns on the living room floor and his father, ever the entrepreneur building a retail business to sell them. 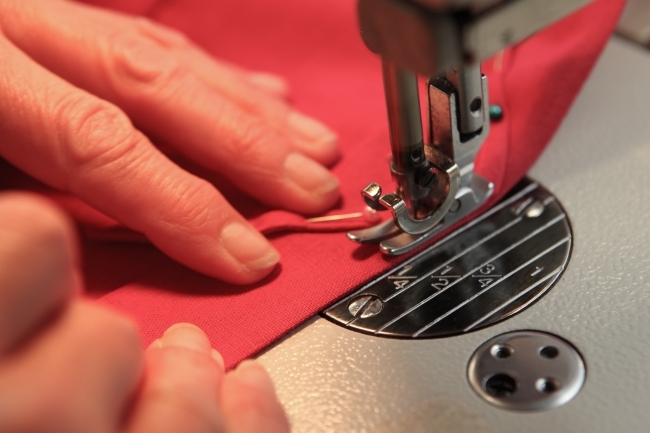 Five decades later a skilled team of over 250 seamstresses, garment cutters, dressmakers and designers still make each and every David Nieper garment from first sketch to final stitch at the fashion house in Derbyshire. Much has changed over half a century and the company’s evolution has included integrating new technology, exporting into Europe and introducing a much-expanded product portfolio featuring knitwear, occasion wear and a wide selection of both daywear and nightwear. In the early 1980s a mail order division was established to both forge closer relationships with customers and to create a more sustainable environment to secure jobs. While the 1990s witnessed catalogue production, photography, copywriting, advertising, marketing and customer service centre all being brought in-house. More recently the company has opened of a knitwear division, established their own print press and specialist garment cutting factory, all developed on or close to the original David Nieper site in Alfreton. However, the fundamental David Nieper brand values have not altered since day one and the painstaking attention to detail, the skill and loving care that Christopher’s mother displayed while handcrafting the very first garments in 1961, have been carried though into today’s collections which are now enjoyed by private customers in the UK, Europe and beyond. During 2016 – the company’s 55th year the business reported record turnover. Managing Director, Christopher Nieper explained people are what the 55 years old family business attributed to it’s success. The company’s commitment to producing ‘British made’ clothes and sense of responsibility as an employer has been steadfast over the years, making the David Nieper brand unique in an industry where the vast majority of business have taken the manufacturing operations overseas for cheaper labour. For decades the offshoring trend has almost totally depleted the fashion manufacturing industry, however rising production costs overseas, especially in China combined with the Brexit vote to leave the EU, will mean that demand for UK manufacturing will naturally grow. The Made in Britain mantra is at the heart of the company and has over the years proved to be a much more sustainable approach to business than offshoring, and has allowed the company to weather many political and economic storms from recessions to currently fluctuations. “In 2016 our family business had a record turnover and celebrated 55 years in business. This year it is our intention to build upon this success, capitalise on the auspicious global market conditions and seize the unprecedented opportunity being offered to UK manufacturers. “The silver lining of last year’s Brexit vote heralds a golden era for UK manufacturers – consumer confidence is high and ‘Made in Britain’ products have real brand value in today’s market. The opportunity is real, but so too is the challenge – good education and developing local skills is the key to future success. Through continued commitment to British manufacturing, the development of skills and investment in new talent and young people, David Nieper looks forward to another 55 years.